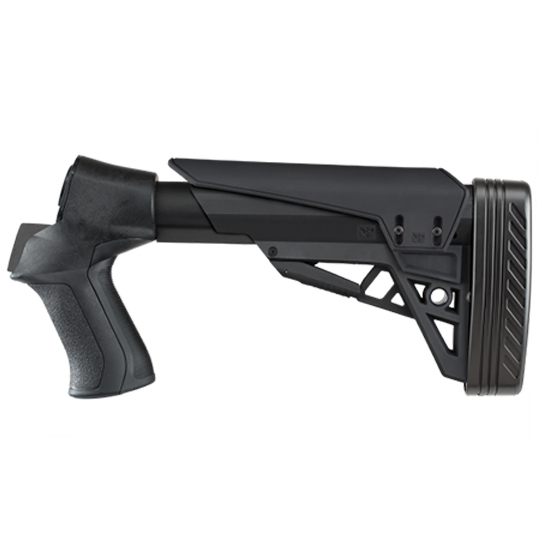 Advanced Technologys T3 Shotgun TactLite 6position adjustable MilSpec stock has a pistol grip and is constructed of DuPont polymer. The TracLock System provides smooth secure adjustments eliminates horizontal and vertical movement of the buffer tube and has dualsided QD attachment point. The X series recoil reducing pistol grip has an absorbing backstrap and a slim ergonomic design. The T3 Shotgun Stock also had a slot for a tactical sling attachment an universal mount system and all mounting hardware included.